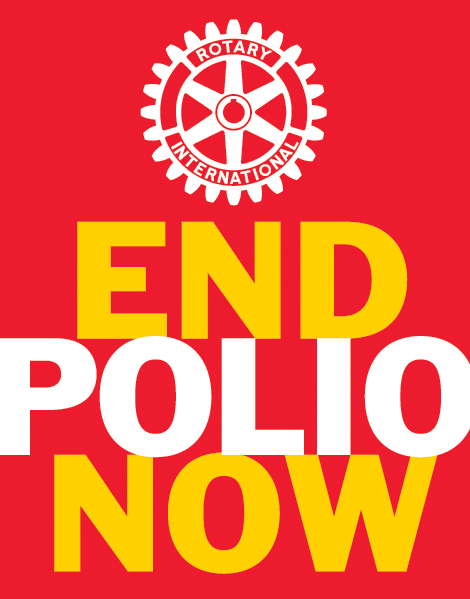 In 1985 Rotary International made a promise to the children of the world…eradicate the wild polio virus. Not seen in this country for many years, polio is still endemic in four countries: Nigeria, India, Pakistan and Afghanistan. To eradicate polio, Rotarians have mobilized by the hundreds of thousands. They’re working to ensure that children are immunized against this crippling disease and that surveillance is strong despite the poor infrastructure, extreme poverty, and civil strife of many countries. Since the PolioPlus program’s inception in 1985, more than two billion children have received the oral polio vaccine. With the new bivalent vaccines, new delivery methods and highly technical tracking and auditing eradication is possible. Rotary’s US$200 Million Challenge is the Rotary Foundation’s response to the two grants totaling $355 million from the Bill & Melinda Gates Foundation to help eradicate polio. Every dollar given to PolioPlus will be counted toward the $200 million match, which must be completed by 30 June 2012. Currently Rotary has raised $163M. This is outstanding Harriet—-You know how I feel about Polio and helping kids.